Description - The Brushed Suede collection by Shaw is an affordable and stylish engineered wood option. This wood flooring gives the look of expensive hickory while also having the soft textured feel of suede. The multi-layer construction of engineered wood flooring provides durability and versatility where traditional hardwood floors cannot. Engineered hardwood flooring can be used the same as a standard wood floor, but it is more structurally stable, easier to install, and will not dry out or warp. This wood collection boasts stunning color options and an attractive beveled edge, making these planks great for any room in your home. 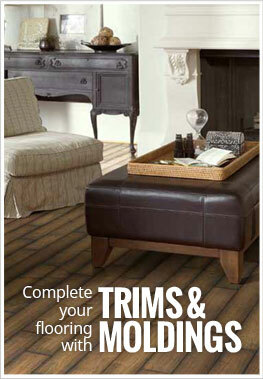 Shaw's engineered wood planks are backed by a 50 year warranty. Material – Shaw’s engineered flooring is constructed with a wood core and finished with ScuffResist Platinum. ScuffResist Platinum is a UV-cured polyurethane finish with aluminum oxide. Size – The Brushed Suede engineered planks are 5" wide and come in random lengths from 10" to 42". Average plank length is ~18". Thickness – Each plank is 1/2" thick. The wood veneer is 1.6mm thick. Weight – Each engineered wood plank weighs ~1.96 lbs per sq ft. Recommended Uses – Shaw’s engineered brushed suede planks are a great choice for many residential and commercial applications. Dining areas, living rooms, home basements, kitchens, family rooms, offices, bedrooms, home dens, and model homes are just a few of the many places these engineered wood flooring planks have been installed. Distressed with a beveled edge. Moisture resistant and pet friendly. The floor is so nice, great product!